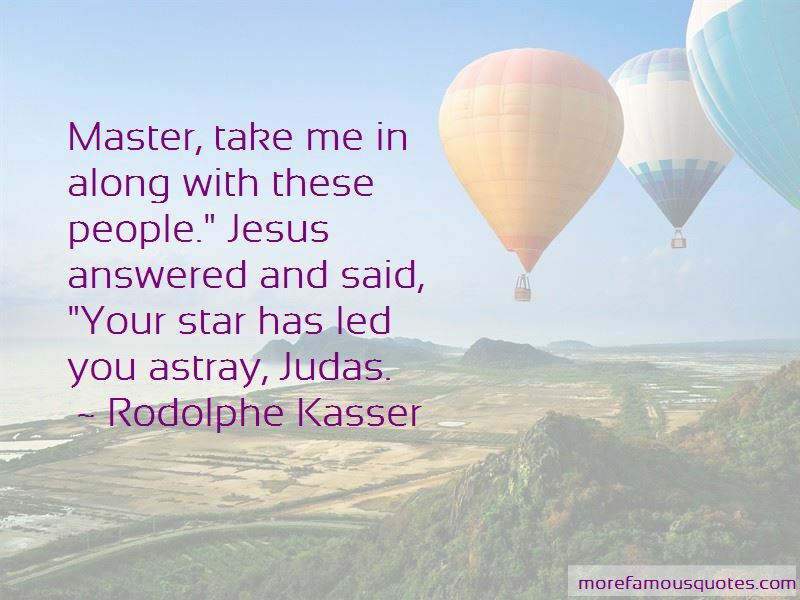 Enjoy the top 8 famous quotes, sayings and quotations by Rodolphe Kasser. Judas said, "Master, as you have listened to all of them, now also listen to me. For I have seen a great vision." And when Jesus heard this, he laughed and said to him, "You thirteenth daimon, why do you try so hard? But speak up, and I shall bear with you. 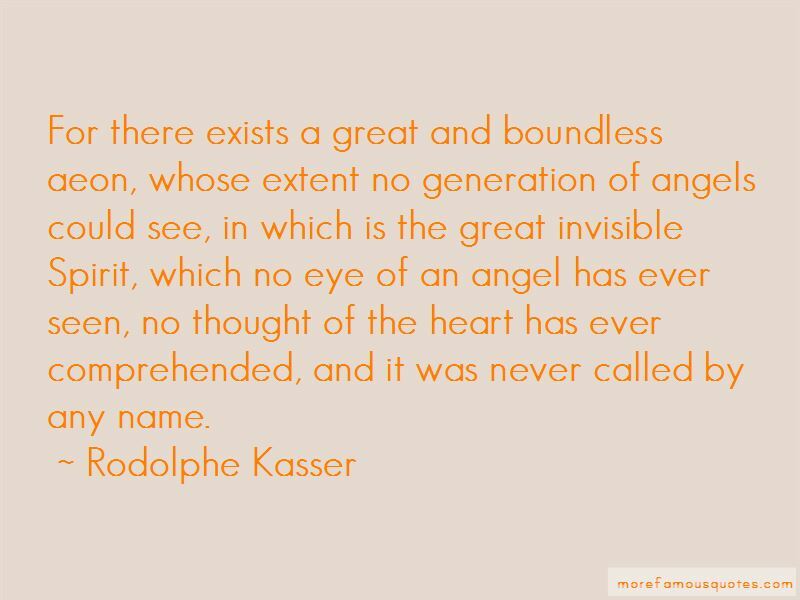 For there exists a great and boundless aeon, whose extent no generation of angels could see, in which is the great invisible Spirit, which no eye of an angel has ever seen, no thought of the heart has ever comprehended, and it was never called by any name. Let twelve angels come into being to rule over chaos and the underworld. And look, from the cloud there appeared an angel whose face flashed with fire and whose appearance was defiled with blood. His name was Nebro, which means in translation 'rebel'; others call him Yaldabaoth. Master, take me in along with these people." Jesus answered and said, "Your star has led you astray, Judas. 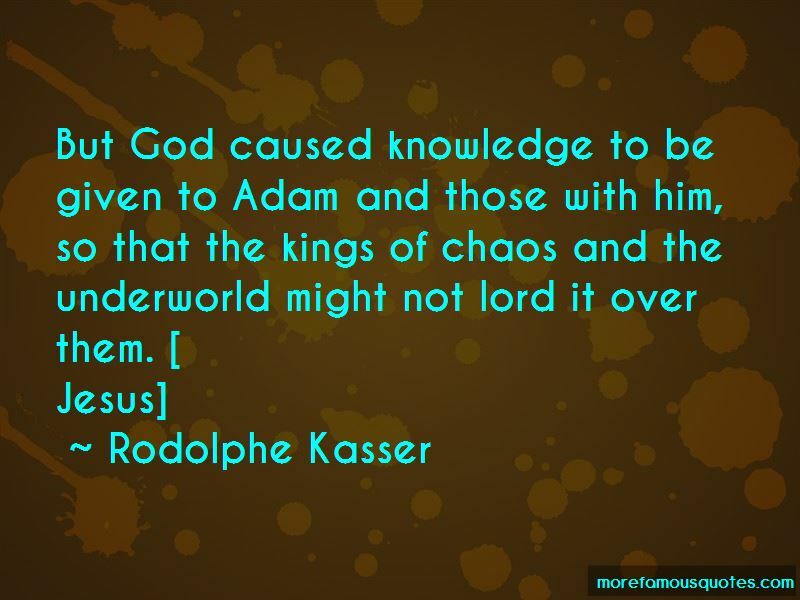 Want to see more pictures of Rodolphe Kasser quotes? 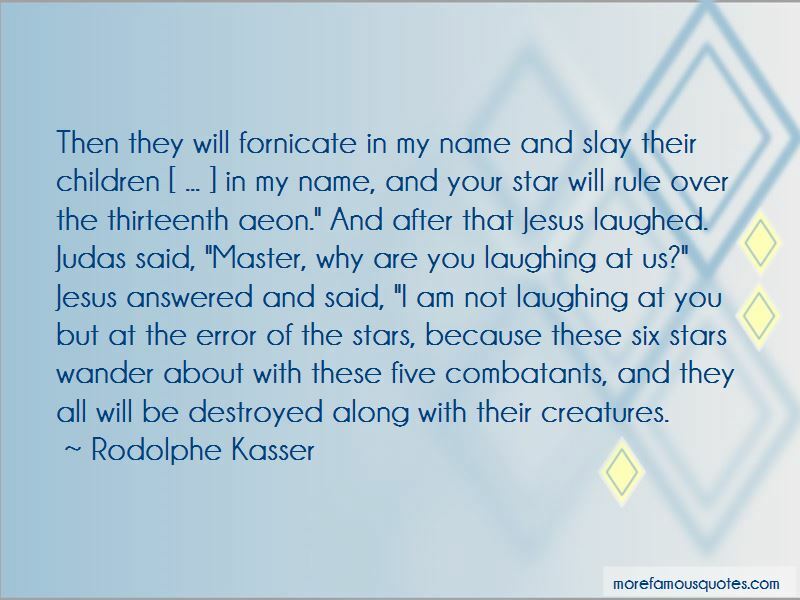 Click on image of Rodolphe Kasser quotes to view full size.